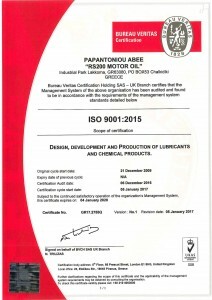 Our factory is certified with ISO 9001:2015 for Design, Development & Production of high quality lubricants and automotive chemicals, from 1999 till now. 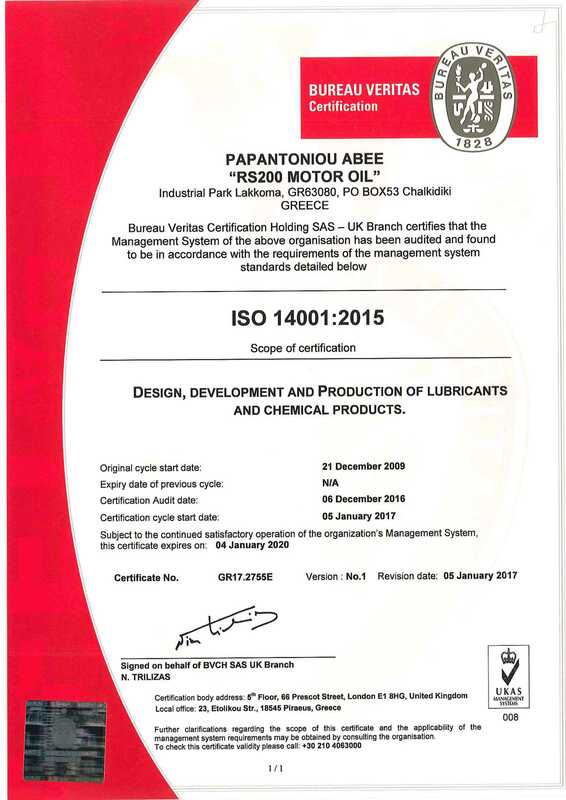 Also our factory has implemented and maintains Environmental Management System according the ISO 14001:2004 for Design, Development & Production of high quality lubricants and automotive chemicals. 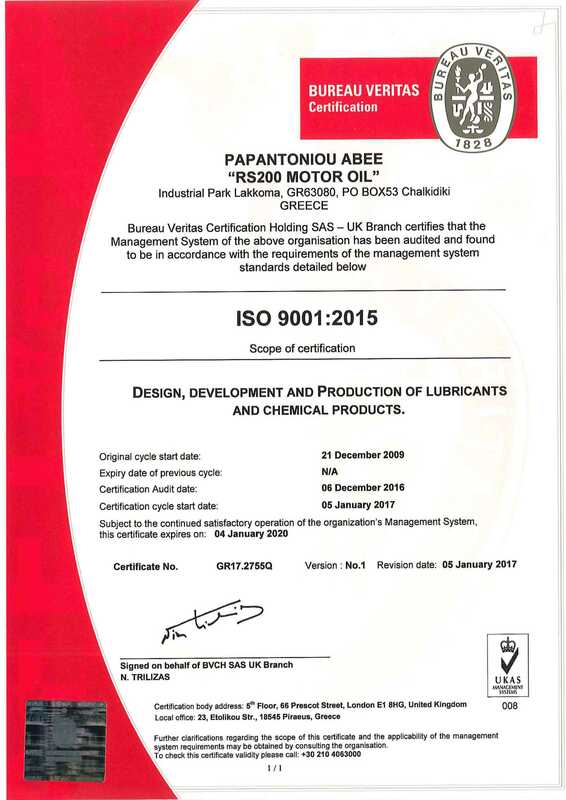 Our production procedure implies a commitment of compliance according the European guidelines of EELQMS and also we are enlisted in ΑΤΙΕL. All of our products overcovers the top tier international lubricants specifications according to ACEA, API, JASO and ΟΕΜ, in addition we also have direct approvals from Mercedes Benz, Volvo, ZF etc.